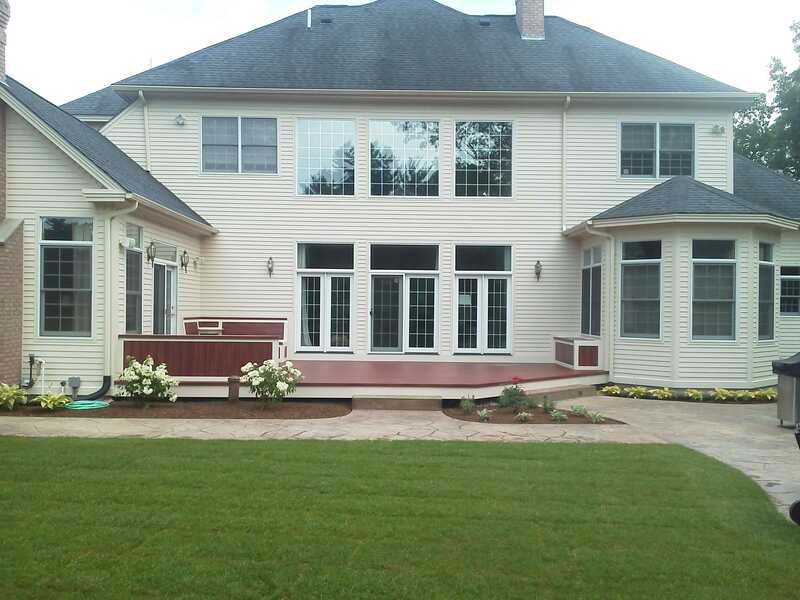 Solution: A 529 square foot composite deck was designed that included a dedicated area for grilling, a corner seating space that resembled something you might see on a fancy yacht, and a built in yard lantern chest that doubles as a serving or seating area. 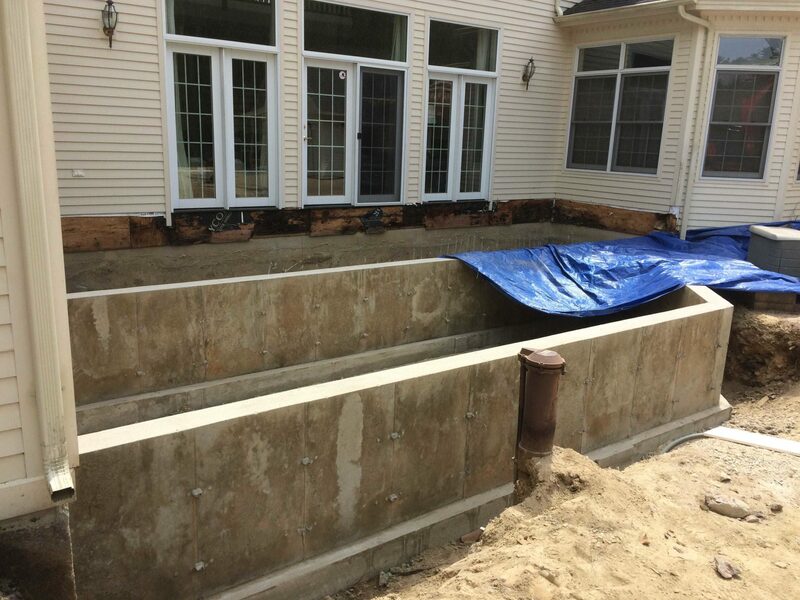 The new deck was built on 60 liner feet of four foot frost wall and footer. 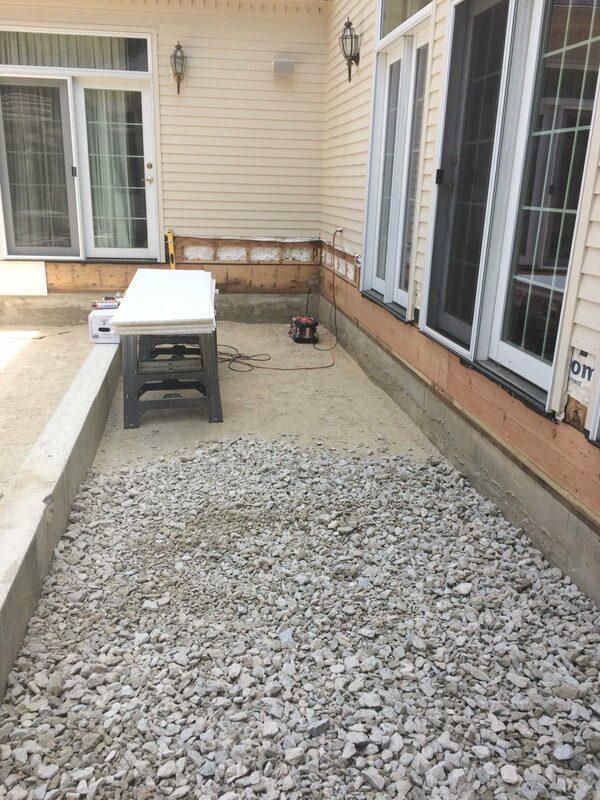 Unfortunately, serious, structural rot was uncovered during the demo process and most of the rim joist needed to be replaced. 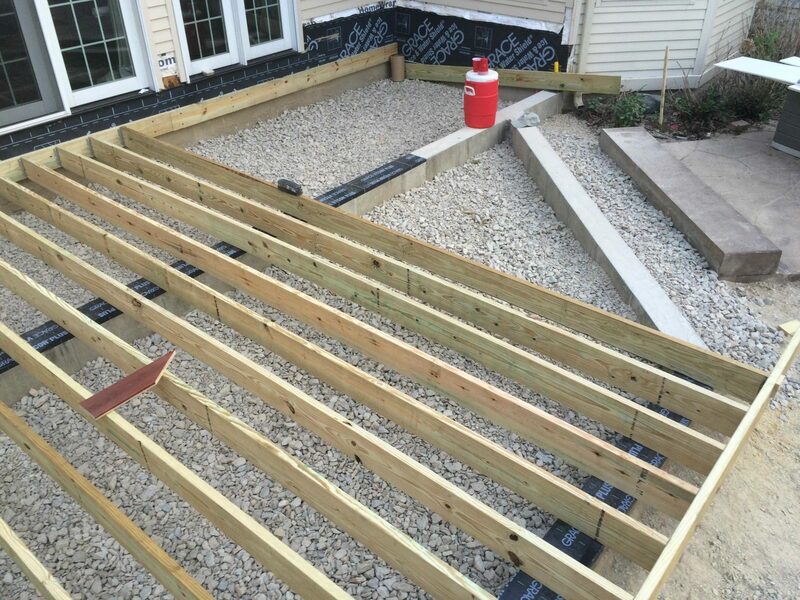 Additionally, some floor joists needed be sistered with supporting lumber as floor joists had started to buckle, all due to improper flashing and use of ice and water membrane, thus preventing snow melt and rain water from rotting the home’s important rim joist. 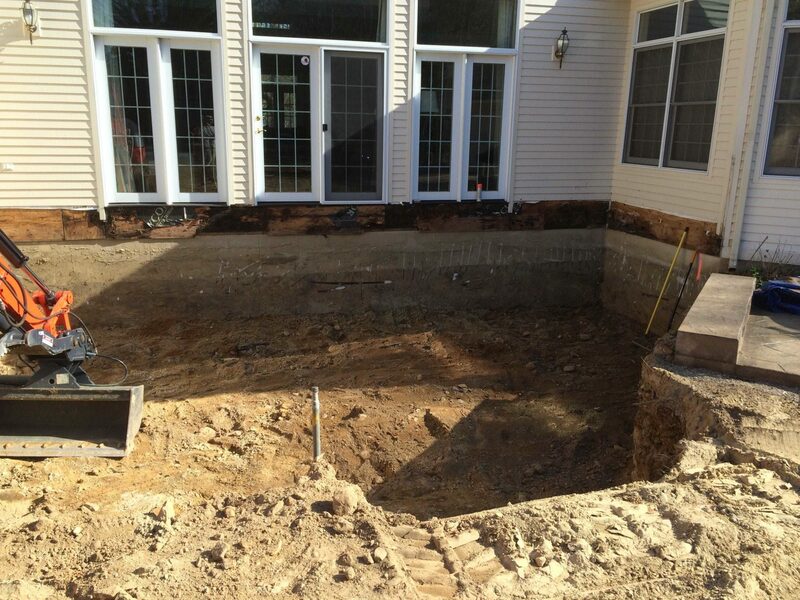 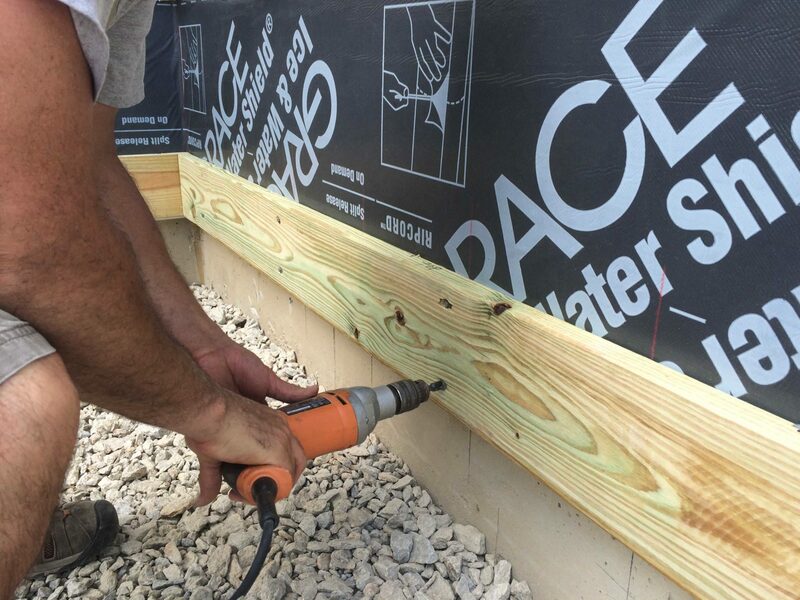 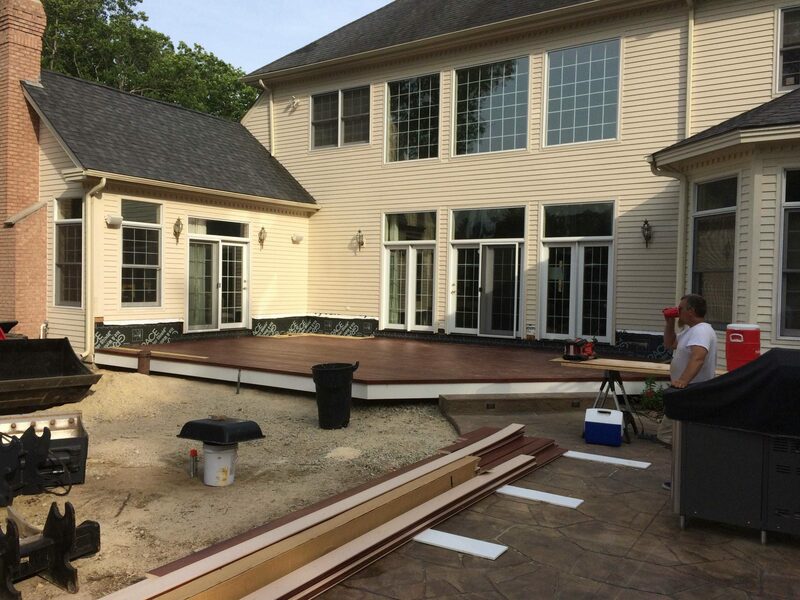 It is not uncommon for contractors to overlook the extra steps needed to build decks correctly. 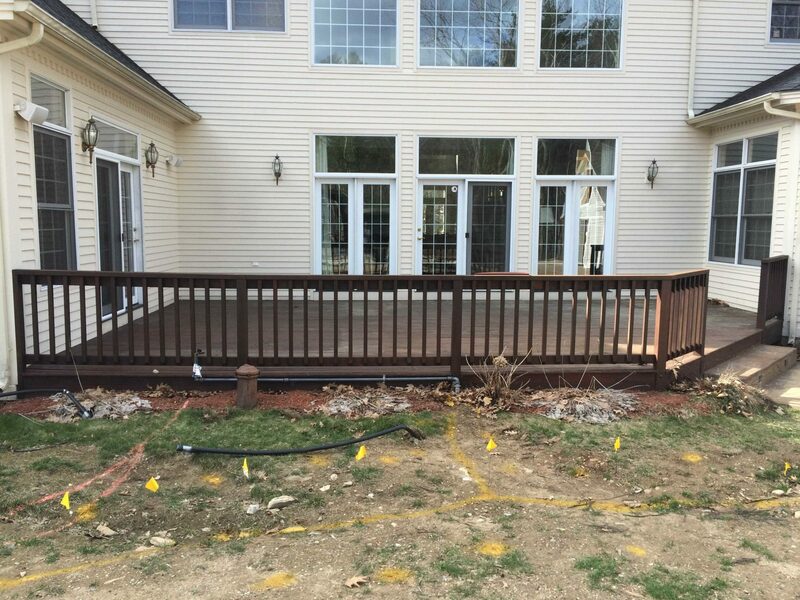 Because of the added expense, time and need to consult with the homeowner about the value of constructing the substructure of a deck correctly, many contractors shy away from this critical step figuring they will be long gone when structural problems start to occur and they might lose the job if they engage in the conversation about the true cost of a deck built properly.